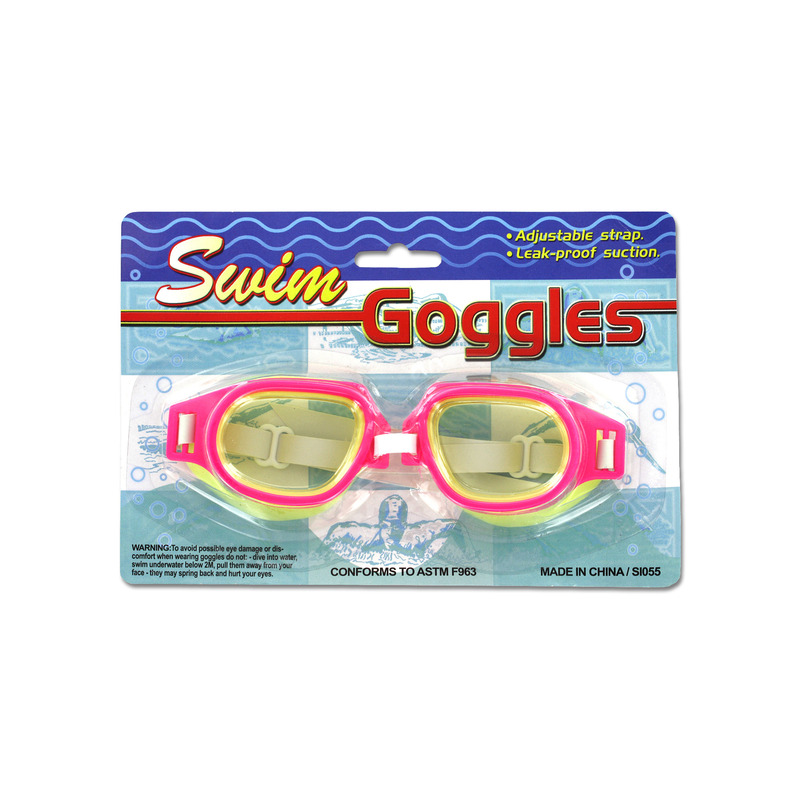 Great for swimming in pools and the ocean, these Swim Goggles feature adjustable straps and leak-proof suction. They have pliable yellow plastic eye sockets with the lens surrounded by hard plastic in assorted colors. There's a white plastic adjustable nose strap and white rubber head strap that is approximately 20" x 3/8" with 2 adjust clips. Lens surface is approximately 1 3/4" x 1 1/4". Comes in assorted colors. Comes packaged in a blister pack. **We are running low on stock of this item. Please do not order more than 96 items.